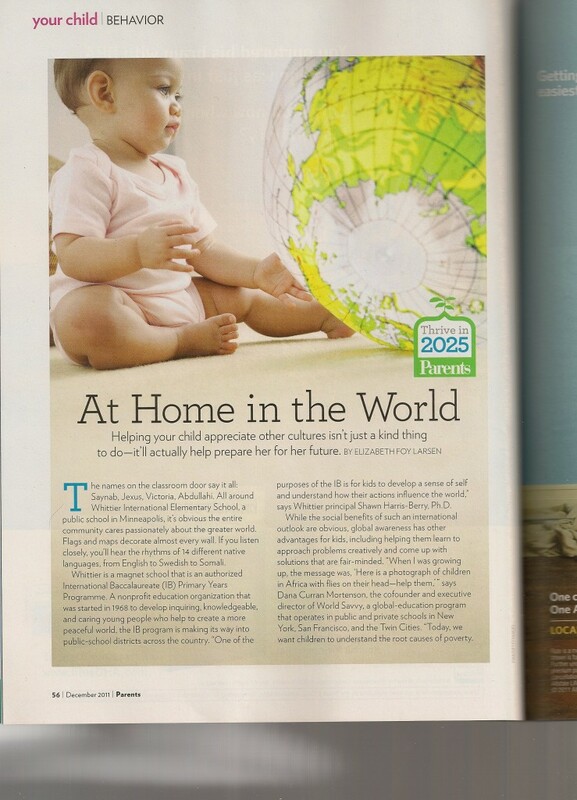 The December 2011 issue of Parents Magazine featured a story on global learning for families, drawing from a number of experts in the field, like the inspiring Dana Mortenson of World Savvy. 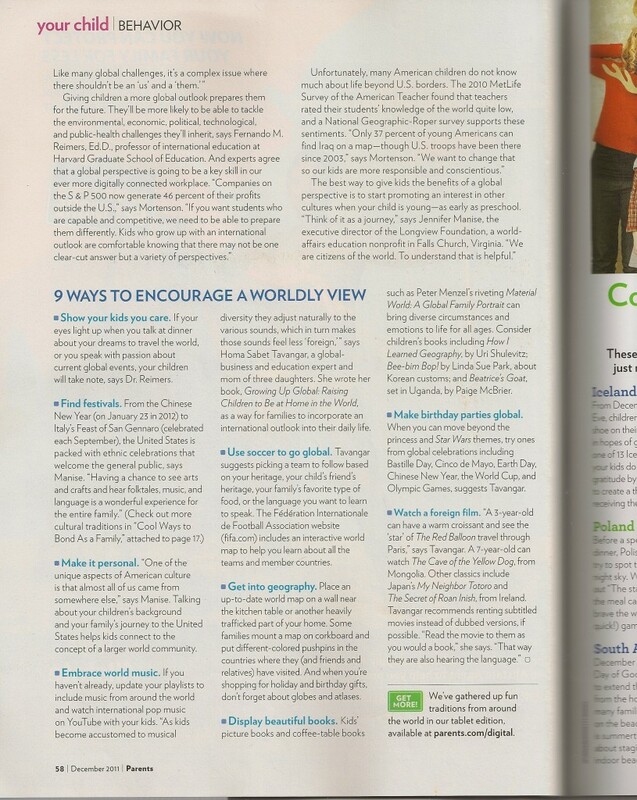 I was honored to be contacted for the story, and that the title of the story ended up being the subtitle of Growing Up Global, “At Home in the World.” Also, that the action tips were drawn from suggestions in Growing Up Global. Here are images of the pages; sorry if they look blurry on your screen. I think you can see their Tips on the second page.